Welcome to Sacred Heart of Jesus Parish and Diocesan Shrine. We gather in the name of Christ the Lord, united in the grace of the Holy Spirit and the love and truth of our heavenly Father. We hope you find the Truth, Beauty and Goodness of God at our parish. 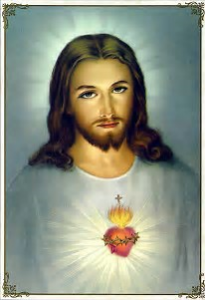 The Sacred Heart of Jesus is the love of Christ, who wants to be close to us; Who wants to dwell within us. Through reception of the Sacraments, especially the Most Holy Eucharist, we invite Jesus into our hearts. We grow closer to Him through prayer, acts of charity and by learning about Christ and His Church. Our Parish and Shrine strives to respond to Our Lords call to teach everything He commanded and dispense the Sacraments to all who come seeking Him. Welcome! Baptisms: What an awesome blessing you wish to give to your child! Please call the rectory (716-683-2375) to make arrangements to have your child baptized. It is best, but not necessary, to make arrangements a few months before your child is born. Our Baptisms are normally celebrated the third Sunday of the month during our 11:00 a.m. Mass. You will need to meet with our deacon prior to the Baptism. Marriages: Congratulations on your engagement! Please make arrangements to meet with our Pastor, Father Bob, at least six months in advance of your desired wedding date. Please call the rectory with any questions. Anointing of the Sick: Those advancing in age, those anticipating surgery or a stay in the hospital and those suffering from a terminal illness are encouraged to call the rectory to be anointed or visited by a priest. Please note – hospitals and nursing facilities do not call us, so please make sure you do it yourself. Letters of Recommendation: To receive a letter of recommendation for a sponsor for Baptism or Confirmation, you must be a registered member of the parish for at least 6 months; who regularly attends Mass and receives the Sacraments. Sponsors are to be Baptized, Confirmed, and if married, have done so in conformity with the laws of the Church. 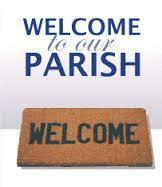 New Parishioner: Welcome! Please call the rectory to register or visit during office hours to register. Moving Out of the Parish: We’re sad to see you go! Please call the rectory and notify us, thank you!